Voucher valid until 15th July 2019, and is non-refundable. We are located in Pembrokeshire, on the West Coast of Wales in the middle of the stunning expanse of St Brides Bay. To the south is Broadhaven, Marloes and Skomer Island. To the north is Newgale Beach and the St Davids peninsular. The county town of Haverfordwest is 15 mins drive away. We have over 60 horses and ponies with something to suit every rider. There is a short hack across our fields to the beautiful beach of Druidstone Haven which is the main location for Beach Riding. When the tide is in then there are plenty of countryside tracks and paths to explore. 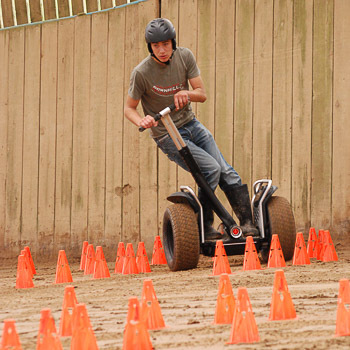 The Stables is also home for fun activities of Zorbing and a Segway Course, and lessons can be taken in our indoor school. There is extensive accommodation available close to the stables with our own self catering cottages and the historic Glebe House B&B.